Companion Voices: We interviewed Judith Silver to find out more about her work. 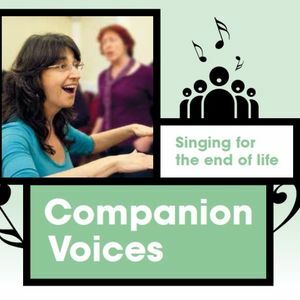 Companion Voices are singers who can be called to the bedside of people who are dying, to share their voices and loving presence. Monthly learning and preparation sessions are led by Judith Silver, a singer, composer, choir leader and Natural Voice Practitioners’ Network member and there are currently groups in Brighton and Watford.